This article will walk you through creating Google synced resources. Timekit can be used without your users even knowing, as resource creation and synchronization can be done 100% through the API. In case you need your resources to be synced with Google this tutorial should help. 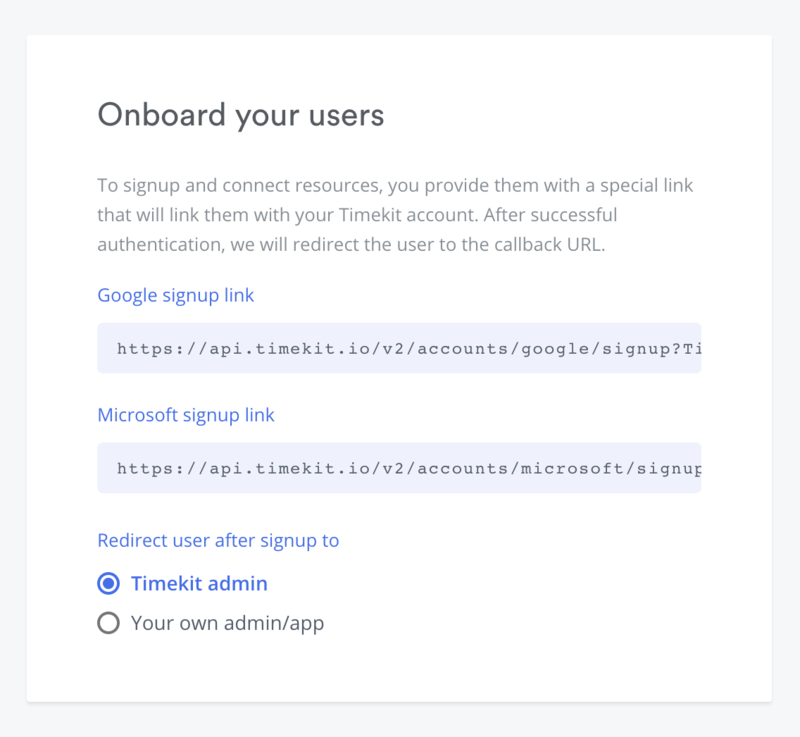 The resources must navigate to the URL and grant Timekit access to their Google calendars, in order for Timekit to be able to sync their availability. Nifty eh? Now you have a Google synced resource.